Set on the banks of the River Arno, a 2 minute walk from our Florence tennis centre, the Hotel Villa La Massa is a fascinating 16th century Medici dwelling. With its 500 years of history it tells tales of Renaissance splendour and the lifestyle of the Florentine aristocrats. Two Villas, dating back to the days of the Medici (16th century): the Noble Villa (Villa Nobile), the Old Mill (Vecchio Mulino) and the more recent little Villa (Villino) are the highlights of Villa La Massa which, from an ancient dwelling of the aristocracy, was turned into a hotel in 1950. The hotel offers its guests 37 rooms, all different from one another, and all recently refurbished in the traditional Florentine style. The spacious and airy rooms are decorated with antique furniture, fabrics woven at the historic Florentine textile mills, wrought iron and woodwork from the famous old-time Florence cabinet makers. Bathrooms and their fittings are done in a style reflecting the atmosphere of times gone and are fitted with Carrara marble. Most have windows framing the beautiful Tuscan landscape. The hotel also boasts a Beauty Centre equipped with state of the art exercise machines and audio/visual, it has also a treatment room in which we offer a wide selection of massages, manicures and pedicures may also be arranged. During the summer time enjoy the tranquillity of Tuscany's countryside and indulge yourself by experiencing a massage under the garden gazebo. 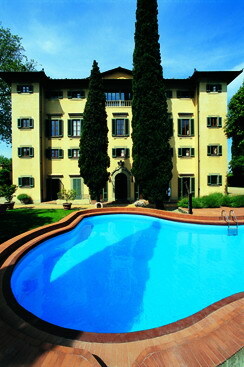 Located in each of the 3 main buildings, these rooms overlook either the Arno River or the gardens, and have bathrooms. 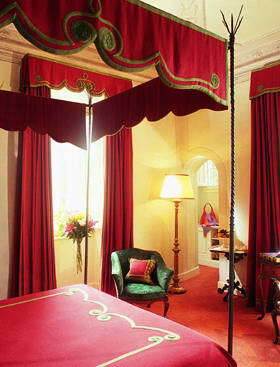 Some are decorated with canopy beds with wrought iron bedsteads. The average size for this category of rooms goes from 31 to 35 square metres or 333 feet to 377 square feet. 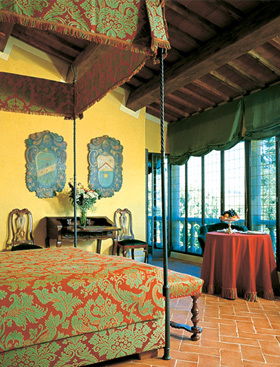 Located in each of the three buildings, the junior suites overlook the Arno River and/or the gardens and have bathrooms. The average size goes from 35 to 38 square metres or 377 to 409 square feet. 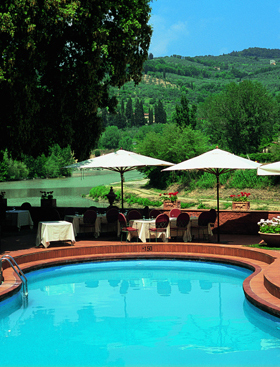 Overlooking the Arno River and the gardens, all suites have bathrooms. The average size ranges from 40 to 45 square metres or 430 to 485 square feet. Located in the ancient Oil Mill, this category of Suite includes a terrace overlooking the Arno River and the surrounding hills. The size of these rooms varies from 45 to 55 square metres or 485 to 592 square feet.